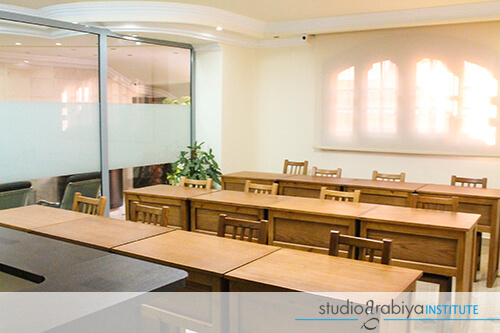 Studio Arabiya’s study center is located on the ground floor of our campus. We have classrooms where students will have their daily classes with their teacher, as well as facilities for individual study. 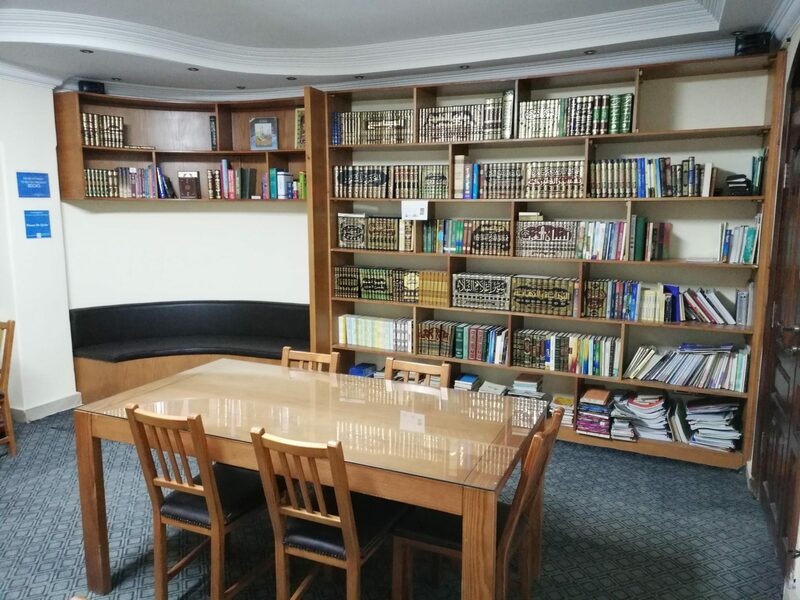 Our Library is also available for studying, reading, checking out books, and using our Arabic computer resources. 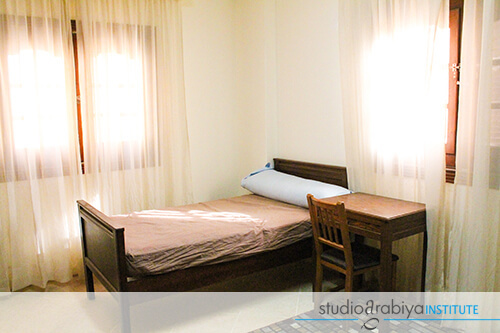 Our private and shared dorm rooms are available to all Studio Arabiya study abroad students and to students of Al-Azhar University who need accommodations while in Egypt. Each dormitory hall has five dorm rooms – most with air conditioning and heat – sharing two bathrooms, a kitchen and laundry facilities. Each dorm room (both private and shared) is furnished with two beds, a desk for each tenant, and two closets for clothing. Private rooms do not have a private bathroom. Dormitories are available for both males and females (on separate floors). For married couples and families with children, we have limited apartments on campus. In addition, we offer services in assisting families with finding a flat near the campus. In addition to furniture, dorms and flats have some basic kitchen needs, such as some dishes, silverware and pots and pans. There is a refrigerator, stove/oven, and microwave, as well. If you require any specialized kitchen appliances or specific types of dishes or utensils, we advise you to bring them with you (take care of the difference in voltage in Egypt) or purchase them in Egypt. (Coming Soon) Studio Souk offers a convenient, on-campus market, where students can easily purchase snacks, drinks, school supplies, and other everyday needs. Transportation is readily available in Egypt. Taxis and microbuses are all easy to use for transportation. Studio Arabiya provides personal transportation to and from the airport, as well as on some trips for an additional fee.